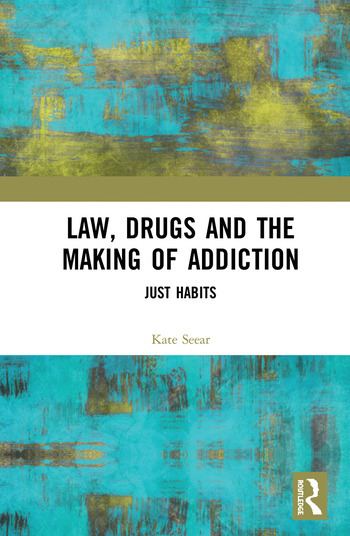 Kate Seear is an Associate Professor in Law at Monash University, Australia. She is an Australian Research Council DECRA Fellow (2016–2019), the Academic Director of the Springvale Monash Legal Service, an Adjunct Research Fellow in the Social Studies of Addiction Concepts research program at the National Drug Research Institute in the Faculty of Health Sciences at Curtin University, and a practising lawyer. She is the author of Making Disease, Making Citizens: The Politics of Hepatitis C (with Suzanne Fraser) and The Makings of a Modern Epidemic: Endometriosis, Gender and Politics, and co-editor of the collection Critical Perspectives on Coercive Interventions: Law, Medicine and Society (with Claire Spivakovsky and Adrian Carter).